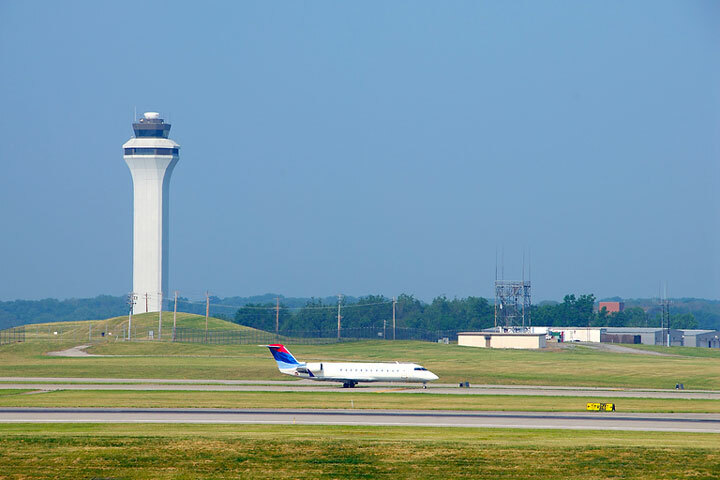 Major Kentucky airports include the Louisville International Airport, the Cincinnati/Northern Kentucky International Airport, the Blue Grass Airport in Lexington, and the Paducah Barkley Regional Airport. Another commercial service airport in Kentucky is the Owensboro-Daviess County Regional Airport. 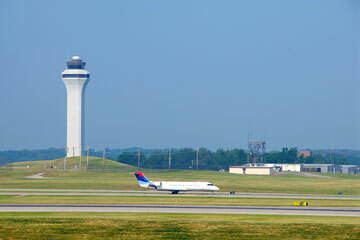 The photo at right shows a jet aircraft taxiing on a runway at Northern Kentucky International Airport. This Kentucky airport map shows FAA-designated commercial service airports, reliever airports, and general aviation airports in the Commonwealth of Kentucky. Primary airports are designated with an airplane symbol. Kentucky airport map source: FAA 2001-2005 NPIAS.